What's the difference between feature status and the task fields? Feature status is the primary way to monitor the status of a feature/subfeature in productboard. Feature status is best for tracking the linear phases each feature progresses through from idea through to delivery. These status values can be customized for your project. Each feature/subfeature can also be associated with a number of task fields (e.g. product brief, prototype, final designs, release notes) and each of these tasks has a status. This is independent of the feature status. There is not yet a way to automatically update feature status based on the status of its task fields. 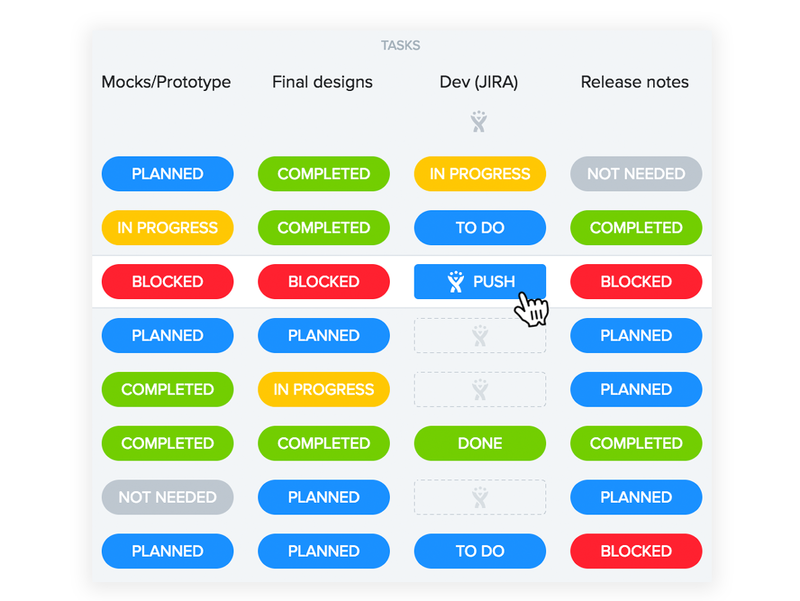 Task fields are best for tracking the prerequisite tasks that must be carried out before work begins on a feature, or before it gets launched. Unlike feature status, some tasks may not be required for all features and may be carried out in parallel, often by different teammates (e.g. prototype / documentation). 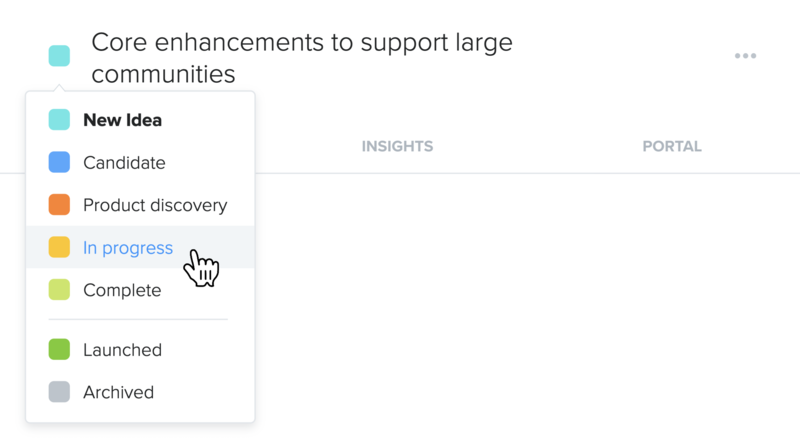 Finally, when pushing productboard features into integrated development planning tools, you'll be able to see the status of the associated Jira/Trello/Pivotal Tracker/GitHub issues or cards right from within productboard. But this too is independent of the feature status. There is not yet a way to automatically update feature status based on the status of its associated issue / card in an integrated development planning tool.